You're #1 Source for Expert Plumber Services in the greater Austin Area. Our years of experience will insure you recieve the best possible service at the best possible price. Available 24 hours a day, 7 days a week. Available 24 Hours a Day to respond to plumbing emergencies. Our licensed plumbers are fully insured and bonded in accordance with Texas state regulations. Our team can provide video inspections on pipes to diagnose issues and provide solutions. Austin Plumber Online was established in 2004 to provide high quality plumber services to Austin, TX. Since then we have grown dramatically, and are proud to continue serving our community, as we have for nearly 15 years. Our team, likewise, has grown tremendously, but we are sure to only allow the highest quality candidates to work with us. Our master plumbers oversee our junior apprentices for several years, so rest assured you will only be provided with the most experienced plumbers available. Whether you are a homeowner or not, you must have definitely used the services of a plumber at some point. While a plumber may not be the person you need on a day to day basis, he may be the person you need once in a while for maintenance, or perhaps for an emergency when things get out of hand. There are various causes why you may need a plumber to fix your home. Plumbing issues can be brought about by a variety of reasons. From debris’ that cause clogs to damaged pipes due to wear and tear that end up leaking. Whatever reason that may cause you to look for a plumber, our number one advice is to have the contacts of a plumber in your contact list as you never know when a plumbing problem will arise. Remember, just like accidents that aren’t planned and can happen at whatever time, so does a leak in your kitchen pipe or bathroom pipe. Seeking the services of a professional plumber will save you both money and time as they are experienced and have the right training to carry out such tasks. And yes, you can try a DIY plumbing project at home, but in most cases, if you don’t know what you’re doing, you’ll end up creating a bigger mess that will cost you more than what it would have if you just got a plumber to do the job in the first place. When it comes to installing any new plumbing appliances, you are the best bet is to get a professional plumber regardless of whether it’s a simple task like fixing the sink or installing a septic tank. Plumbing, just like any other job, is an art. 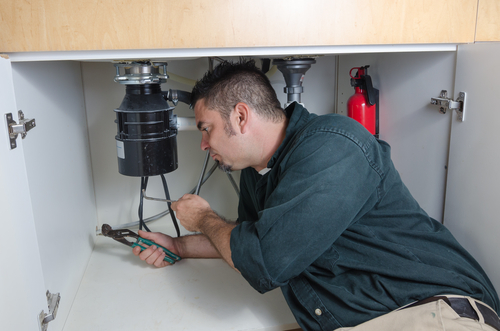 Knowing which pipes to fix where and connect them to an outlet or inlet means that the job will be done the right the first time with no trial and error. Another service offered by plumbers is drain cleaning and sewer line services. Your home’s drainage and sewer line system are one of the most important sections in your home’s plumbing system. While the drainage system works to dispose off all the waste from your home, the sewer line system drains all that waste to the municipal’s septic tank. Because they have the right equipment and training, plumbers can make use of the specialized cameras to inspect the underground drainage pipes and the sewer line and notify you of any issue or repairs that need immediate fixing. Besides installation, professional plumbers are also able to offer additional services such as inspection and maintenance of your plumbing system. By scheduling a routine inspection, they are able to detect early issues with your plumbing system and fix them or offer a viable solution before the issue gets out of hand. This way, you not only have the problems detected earlier but also end up saving on costs. When you are constructing a large building for commercial purposes, you will more than likely hire the services of a commercial plumber. This is because they have the needed training and experience to provide plumbing services to large institutions that are connected to large industrial equipment. They can do installations to a building that’s being constructed or even do repairs when needed. Most people, especially homeowners, have dealt with a residential plumber. They are not trained to offer large commercial plumbing services but can help with the installation of your home’s plumbing system as well as its maintenance and repairs. By handling residential plumbing, they have amassed a wealth of knowledge and know what is needed to get the job done. Your home’s plumbing system is prone to wear and tear just like any other home appliance you’d buy but with regular inspection and repairs, you can be able to have any issues detected early, and a possible solution found for the problem. Maintenance plumbers can carry out inspection and repairs for both commercial and residential units as they have the training needed in solving such issues. An accredited and certified plumber is your safest bet when hiring a plumber. Why? This is because their certification is enough proof that they have the right authorization from your municipality or state to carry out the plumbing services you need. Depending on your state, you can also check if they have been approved by legal bodies that are required to do that. A driving license proves that you can drive a car. Same applies to a plumber. A plumbing license shows that you have gone through the needed training to become a plumber and can, therefore, do plumbing work. Your plumber should have a license and on top of that, be insured. An insurance cover helps protect both you and the plumber as you will not become liable in case they work for you and end up getting hurt in the process.